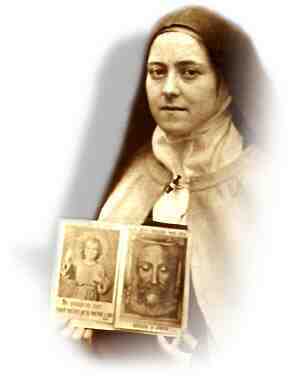 What spiritual writer consoled St. Therese of Lisieux? Answer: The great Father Faber (1814-1863) who pioneered devotional insights into the life of the unborn Christ Child. As some of you know we have quoted Father Faber on a number of occasions. 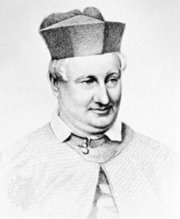 Besides being an impressive preacher and spiritual writer Father Faber also wrote many wonderful hymns – including Faith of Our Fathers and There’s a Wideness in God’s Mercy. Two of his books that touch upon the mystery of the unborn Christ Child are Bethlehem and The Blessed Sacrament. “Fortunately, I have the deep Father Faber to console me. He understood that words and sentences here below are incapable of expressing feelings of the heart and that full hearts are the ones containing the most within themselves.” Letters of St. Therese of Lisieux, Volume II, ICS Publications. Here is a surprising quote from Father Faber where he talks about devotion to ‘our dearest Lord’s life in the womb”.